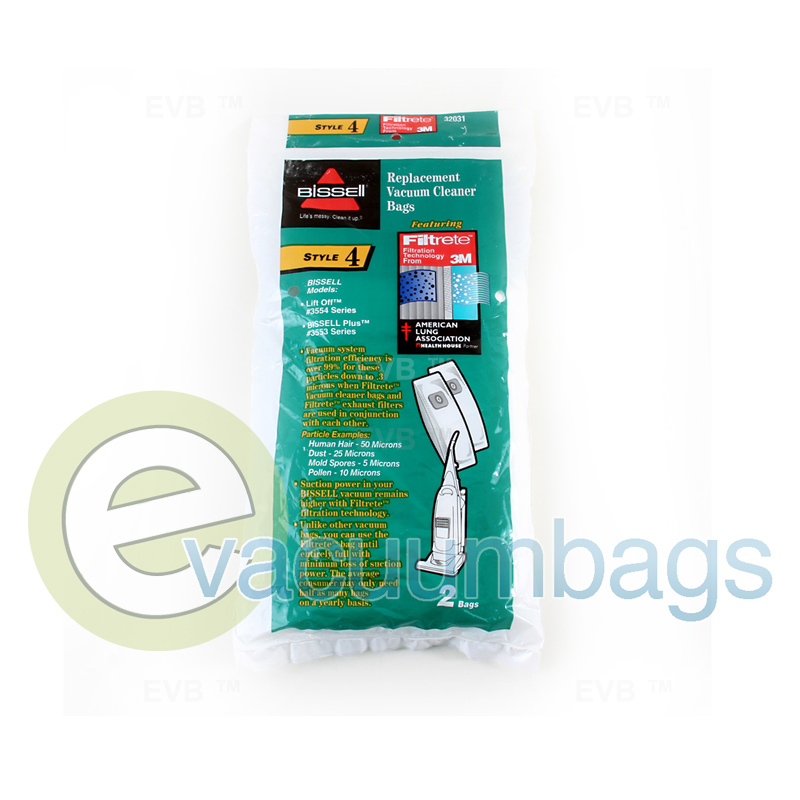 This two item pack contains genuine Bissell Style 4 paper vacuum bags designed for the Bissell Lift-Off 3554 series and Bissell Plus 3553 series upright model vacuums. 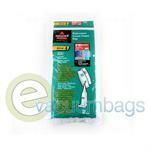 These bags feature "Filtrete" filtration technology from 3M. 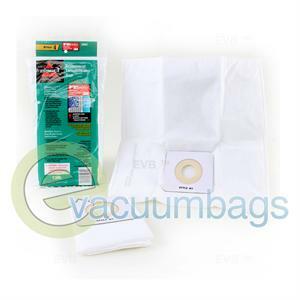 Vacuum system filtration efficiency is over 99% down to .3 microns when Filtrete vacuum cleaners bags are used. 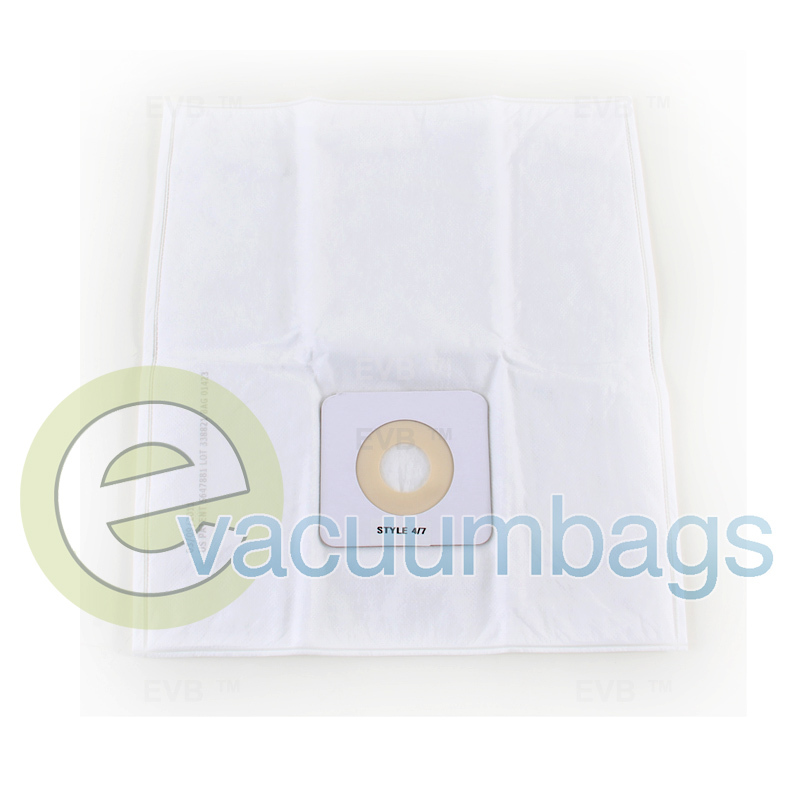 Unlike other vacuum bags, you can use the Bissell Filtrete bag until it is entirely full with minimum loss of suction power. 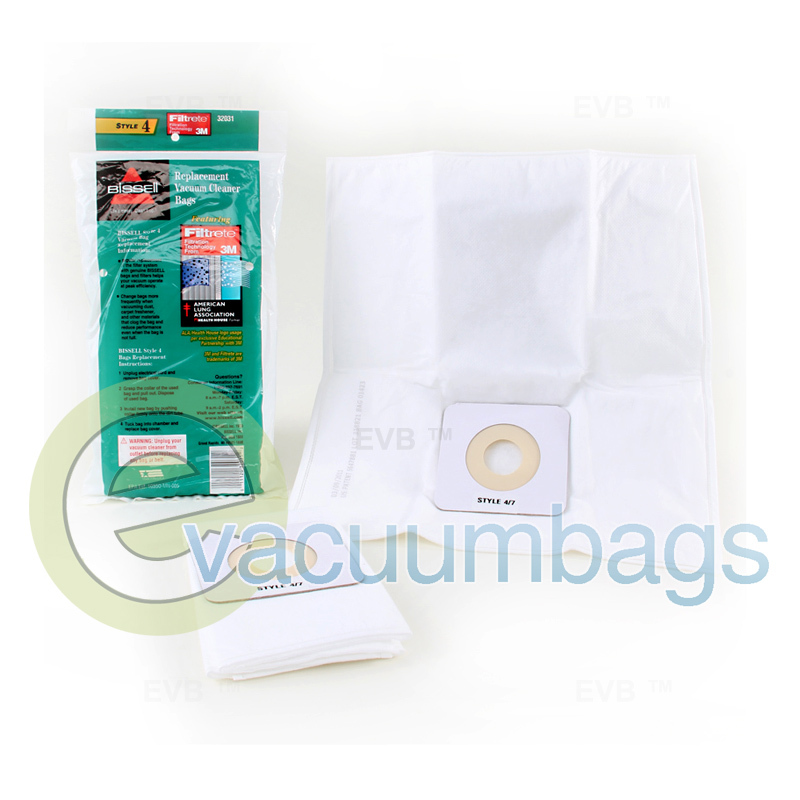 Each bag comes with a self sealing ring and sturdy cardboard mount for an easy replacing process. 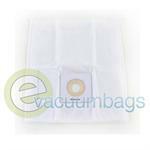 Partner with the American Lung Association. Package contains 2 Bissell Style 4 Filtrete vacuum bags.